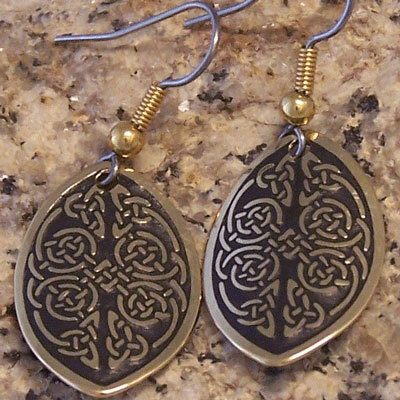 Irish handcrafted Celtic knots earrings from the Wild Atlantic Way. 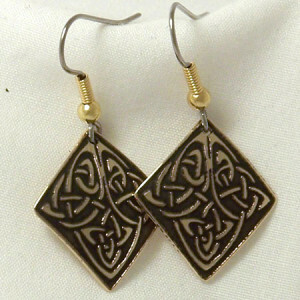 The Pictish Art of constructing knotwork designs decorates these Celtic knot earrings. 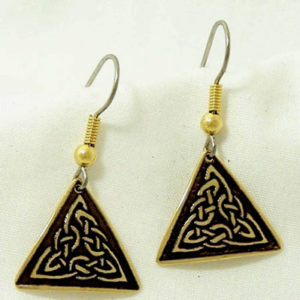 Celtic Knots are pretty famous, they also hold much meaning. The knot was unending and the strands used were intertwined with each other, which symbolized unity and protection. The interconnection of everything in life has also been depicted. The Celts viewed their knotwork as representing the complexity of life, others thought it may be a covenant, and still to others it could be the path of their destiny. With each overlapping line Protection against evil was increased. Often, as the monk and scribes decorated the illuminated manuscripts, such as the Book of Kells and the Lindisfarne Gospels, they would create these intricate knotwork patterns. Though most do not have any particular meaning, it was thought that the monks used this time of concentration to pray and meditate. 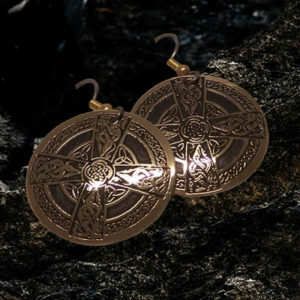 Quality Celtic jewellery from Ireland. 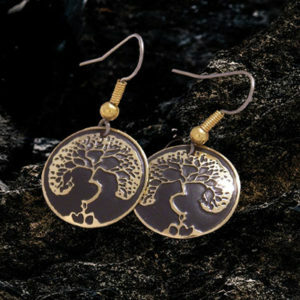 Ideal Celtic ladies gift from Ireland. Size Width (at widest point ) 16mm. Length 24mm.